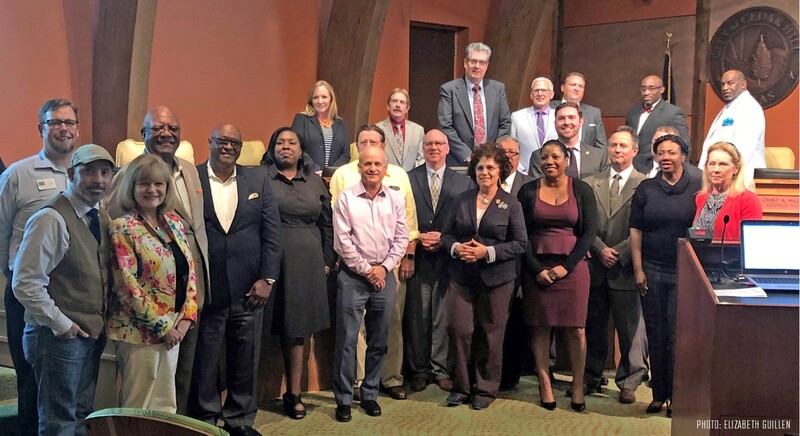 The International Economic Development Council (IEDC) announces that the Cedar Hill Economic Development Corporation (EDC) has been recognized as one of 63 economic development organizations accredited by IEDC as an Accredited Economic Development Organization (AEDO). “Cedar Hill EDC displays the professionalism, commitment, and technical expertise that is deserving of this honor,” said IEDC President and CEO Jeff Finkle. The AEDO program is a comprehensive peer review process that measures economic development organizations against commonly held standards in the profession. The program consists of two phases: a documentation review and an onsite visit. Each phase is designed to evaluate information about the structure, organization, funding, programs, and staff of the candidate economic development organization. Earning the AEDO accreditation tells the community and prospects that Cedar Hill EDC has attained a measure of excellence assuring that their trust is well-placed and their business is in good hands. "We are delighted to have Cedar Hill in the IEDC AEDO family," said Dan Henderson, Vice Chair of IEDC AEDO Committee. "You earned it!" "The accreditation process was very thorough," stated Allison J.H. Thompson, Director of Economic Development at Cedar Hill EDC. "The steps in the process provided insight to this team as we gathered the information to pursue the designation. I am proud of the hard work staff and partners contributed to reaching this accreditation. It is a milestone for the City of Cedar Hill!" The International Economic Development Council is the largest membership association serving economic and community development professionals in the world. With over 5,000 members nationwide and abroad, IEDC offers the economic development profession one source for information and professional development, one voice for the profession and one force for advocacy. For more information on IEDC or the AEDO program, call Dana Crater at (910) 833.7020; fax (202) 223.4745; write to IEDC at 734 15 Street NW, Suite 900, Washington, DC 20005; email dcrater@iedconline.org; or visit IEDC’s website atwww.iedconline.org.